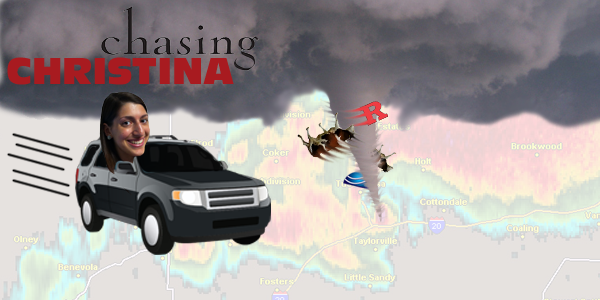 Follow Me On My Tornado Chase! Tornado Alley here I come! Today, May 29th, I'll be embarking on my first chasing experience! Now the question is, where will the severe weather occur? The majority of my trip takes place in June and climatology says tornados are most likely to form in the northern plain states. Why? Well, the major ingredients for severe weather come from the contrast between cold Canadian air masses against the moist, warm air out of the Gulf of Mexico. However, as we enter into summer, the air from Canada is not as cold and usually only dips into the northern plain states. This shifts the severe weather activity further north. As the map below illustrates, the most favorable spots for tornadoes in June are typically in Minnesota, Iowa, South Dakota, Nebraska, and Kansas…looks like I will be spending a lot of my time there!